With the new technology of easy swipe and facial recognition, smartphones and computer peripherals have revolutionized people’s lives. People are taking the benefits of the smartphones worldwide, one of them is of phone unlock and lock functionality. We unlock our smartphones countless times, not considering day or night. Also, the technology has equipped us with the passcode and facial unlock to kick in the security level. The sensor is no less the monotonous journey of new happenings in smart devices hassle. Hassling with the locked and unlocked version of the smartphone and peripherals are the common nodes. One should always be an active learner, to get what technology is reshaping. Most of the organizations are equipped to unlock android support, as people’s influences. iOS and Windows are the most used and favored operating system ruling the tech world. Experts and professional of the technological world are guiding towards the phone unlock checker and proper guide to use the smartphones and peripherals. With this Android OS have equipped the market, providing the platform for the best use of the applications and speedy access. Many people ignore the unlock android preset and are confused. So, are you confused between locked and Unlocked Phone? Part 3. How to Unlock Android? These are the phones that are directly and indirectly manufactured by the several companies. Many of the famous and popular brands like Samsung, Xiaomi, Google, and others are making these types of handsets. People should try to get the knowledge of the indifference. The advantage of Unlocked Android Phone is that it can be used with any networking signal. You can insert a SIM card from any service provider on an unlocked Phone and get your hands to the sensational technology. With the technology of carrier devices, the overwhelm services of locking is possible. To get to the people’s knowledge, most Android phones are sold with a network plan and are generally locked for a period of 18 to 24 months. After the serving period of the lock version, most of the companies tend to unlock the services with the better fixtures. Most of the people are in the juggle of the calling the carrier in order to unlock the phone either after the plan has finished or paid the full contract amount. People should try to get the solutions from the expert’s in any confusions. 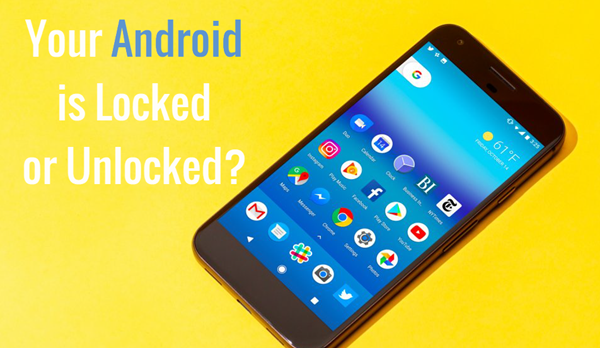 The trustworthy way to check if Android phone is unlocked or locked is by just switching the SIM card of the phone with the switching of the network. Taking the guidance help of the independent service can be an active analogy for the SIM issues. Try to fix be calling someone on the other network or same. This will make sure that the Android phone is working with the current sim. Then, switch off the Android phone, and remove the older sim and put the new one in the slot. Check for the detection of the network. After you do the following hassle, a pop-up message will be reflected as the ‘Sim is detected’ or you might see the sim icon against the signal bars with a cross or ‘Emergency Number Only’. People around the world consider it the safest way to get the things done, as it has its uniqueness. You need to check the IMEI number before the purchase and be a smart player. Keep an eagle eye with the dial *#06# on the Android phone, to be secure every day. Then proceed to the site www.imei.info, enter the IMEI number and press enter. After checking, it will give you the Android Phone’s information. Then select the option on Warranty Button. Then, after the secure IMEI display, it will show you to which carrier the Android Phone belongs. It’s clearing you on a locked and unlocked a phone. Toolkit is also available. From the expert’s guidance, you can take the service as the step by step guide. You should also be careful with the dual Sim phones for the locked and unlocked versions. There are different IMEI number. So, be a real player of the smart devices. Still having doubts on how to tell if your phone is unlocked? Always get acquired to the phone unlock checker software for a manual check. You can contact the carrier’s customer service department for the proper unlock the frame. You’ll receive a code and instructions on how to enter it. Sometimes, it happens your phone is locked by an unknown code. If you are having the trustworthy friend/seller, have them unlock the phone before you pay for it. With the shaping technology, there is much software to get to the hack of the Unlock of Android. Please note that here the unlocking Android is not refer to Android screen lock removal. There are many ways like the manual connections, browser support, Email confirmation support. The one from whom you have purchased will unlock the phone. Buy a SIM card of your network. Have the proper information on-hand Like- Eligibility, IMEI number, device phone number, and account holder information. Visit your service provider’s store. Ask your carrier to install the SIM card you purchased earlier. Need more details to unlock your Samsung device? Here are the easy ways to unlock Samsung Galaxy devices without data loss.